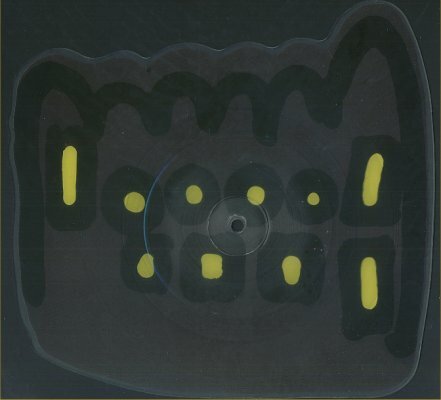 (etched into the 7" shaped picture disk) 7230384 A-1 ... this is the SAME both sides. Release Date 18th June 2007 ... download only. 23rd July 2007 ... shaped picture disc 7"
Hog Hill Mill Studios, Sussex. Mastered by Bob Ludwig at: Gateway Mastering, Portland, ME. Under the MPL Communications banner, this is the first single on the new Starbucks "Hearmusic" label. Paul plays: Mandolin, drums, lead guitar and bass guitar. 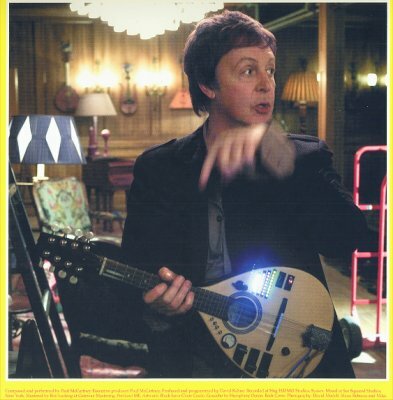 The 7" picture disc shaped single is shaped like Paul's "Memory Almost Full" cover chair and has the SAME track on both sides. The cover art and single design is by Humphrey Ocean and is entitled Black Love Chair Castle (Gouache). Ideas by Rebecca and Mike. The single entered the U.K. charts on 24th June 2007 at number 34 based on downloads only. Second week in the chart the single climbed to number 26. It had one further consecutive week in the chart at number 52. After three weeks absence it re-appeared briefly at number 67, before dropping out. Released on download on Paul's 65th birthday, June 18, 2007. The music video for the song was directed by Michel Gondry and features Natalie Portman and Mackenzie Crook. The video premiered exclusively on YouTube on May 23, 2007. 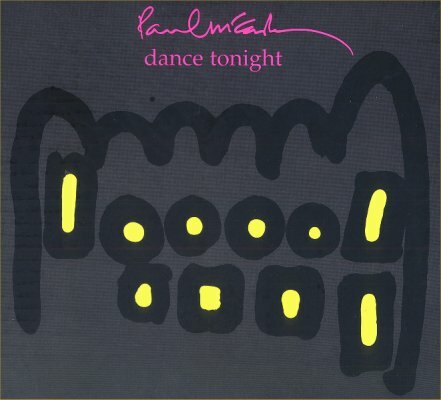 "Dance Tonight" is also featured in an iPod + iTunes commercial with McCartney playing mandolin. See images, audio and video at Paul's own site.